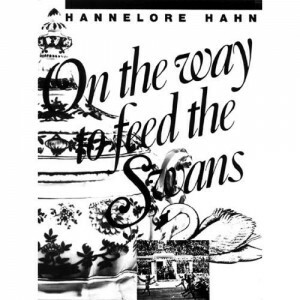 After reading about Russia last week, I traveled across Europe to Germany (in my mind) and picked up Hannelore Hahn’s memoir, On the Way to Feed the Swans (Tenth House Enterprises, 1982). And that’s what I read this week. Hahn is the founder and president of the International Women’s Writing Guild. A writer neighbor lent me Hahn’s memoir months ago and I’m sorry it took me so long to start. From the beginning of the memoir, Hahn brings the reader into pre-WWII Dresden. She grew up in a mansion owned by her maternal grandparents. As a young girl, Hannelore lives a carefree life, an active and enthusiastic student. One day she and her mother encounter Hitler’s entourage and Hannelore spots the Fuhrer standing up in his car, delivering a frightening speech. The Gestapo visits her home soon after when a servant rats out Hannelore and some other children for singing a silly nursery rhyme about Hitler. We know the rest of the general story. Hahn’s nuclear family is fortunate to escape to Prague and later to Italy, where they board a ship for New York. The Hahns lose family members in the concentration camps and know they can’t return to Germany. Still, they experience a cold culture shock in the US and long for the warm familiarity back home in Dresden. Although they take place on different continents, Hahn’s memoir reminds me of Lucette Lagnado’s The Man In the White Sharkskin Suit. Both families enjoy a posh life before Jews are forced to flee for their lives in Germany and later in Cairo. Both female protagonists have eccentric and successful fathers in their homeland. Both families immigrate to New York and both suffer culture shock and long for their motherland. My only wish is that Hahn had written more about her childhood, as Lagnado had. Hahn’s memoir is a quick read at 80+ pages, whereas Lagnado’s is a quick read at 300+ pages. I feel as though Hahn only touched upon the outline of her story and could have kept me interested for a few hundred pages more.